At the end of the 2012-2013 school year, I was fortunate enough to be awarded the John and Pamela Smart Faculty Award. As the recipient of this generous award, I had the opportunity to use the money to take advantage of some learning opportunities. As it turned out, the Smart’s generosity provided me and others with invaluable experiences and observations. I have been involved with a camp called Circle of Tapawingo. This camp was started right after 9/11 and it is for girls who have lost one or both of their parents. Each year girls between the ages of 8 and 13 go to Camp Tapawingo and spend a week having fun, and realizing that they are not alone or different because of their early tragedy. It is a time that they can speak openly and honestly about their parent’s death, and the challenges they face. After the girls go through the CIT program, they are encouraged to come back as counselors. They will be eligible to be a counselor after their first year of college. Well, that is where I come in. As part of the CIT/Counseling program, Circle Summit was started. This is where we take the campers, now seniors in high school, and spend a week backpacking and learning leadership skills in preparation to be counselors. 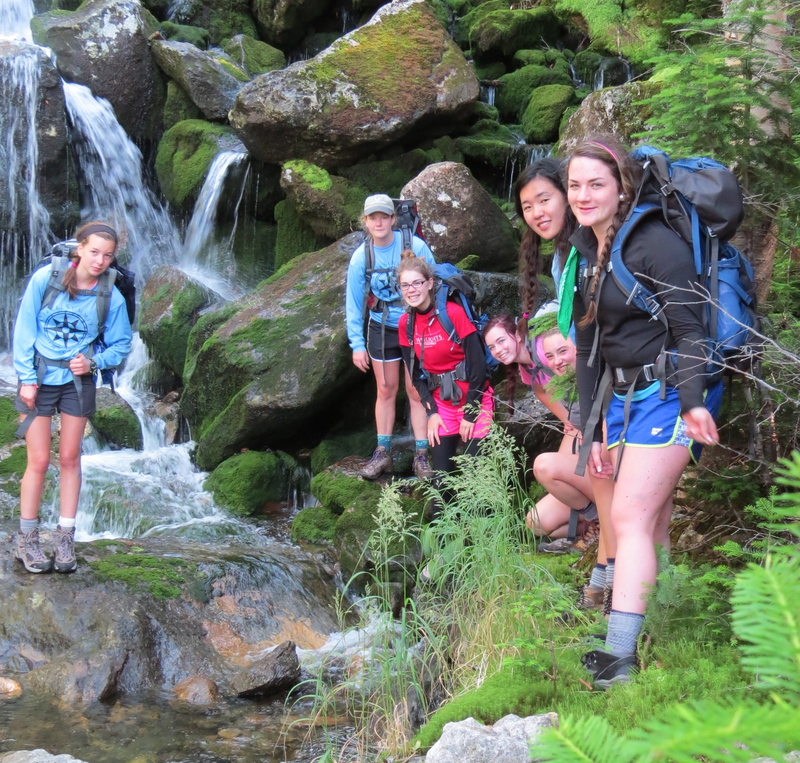 This year, we took seven of the Tapawingo girls to the White Mountains in New Hampshire. We summitted MT. Washington and MT. Jefferson, and backpacked many miles. We camped in tents, primarily in the Great Gulf Wilderness area. 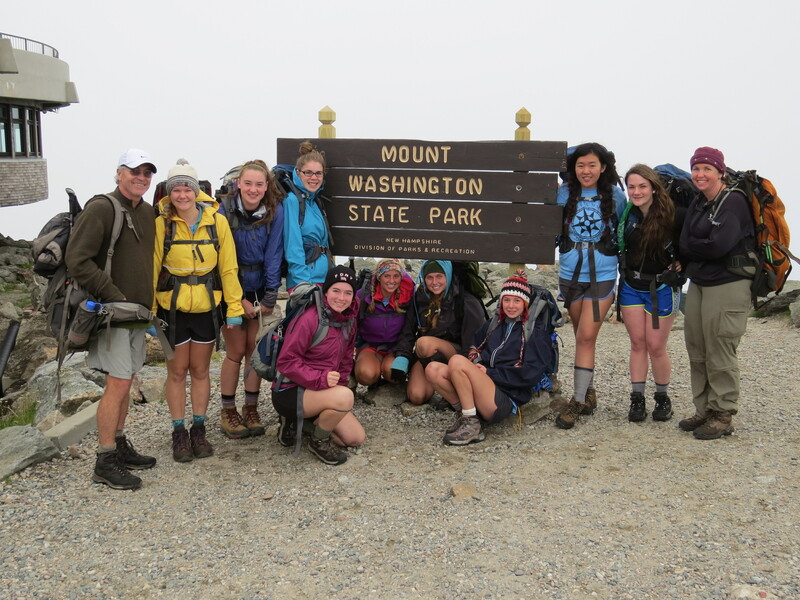 Climbing these 6,000′ mountains is no easy task, but the young women were fearless. I have taken many adults, young adults, and kids on adventures, but I can say that this group showed tremendous determination and courage. Often we found ourselves climbing on all fours, looking for hand and footholds on the sheer rock face. Together, helping and encouraging each other along the way, these young women concord the unknowns and challenges presented by the mountains. As we talked about it around camp, I told them how impressed I was with their strength and courage. We concluded that without a parent, or both parents, they have already faced many unknowns in their lives, and they have learned how to persevere against and through adversity. By using their inner strength and the strength of their friends, the challenge of the climbs proved to them just how strong they had become. So, I used the John and Pamela Smart Faculty Award to pay and support this trip in the White Mountains of New Hampshire. The trip reinforced my strong belief in experiential learning, and to take the classroom outside whenever possible. I also learned how important your friends and fellow students are to learning. Learning new things, the unknown, can be a little scary. Learning collaboratively with supportive friends can give each individual the strength needed to meet the challenge. I think we can also learn how generosity and kindness can often have unknown and wonderful spillover effects. I am not sure that John and Pamela ever imagined that their gift would not only lead to a teacher’s personal and professional growth, but also would help seven young women see what fearless individuals they have become. This entry was posted in Uncategorized by Peter Emmons. Bookmark the permalink. Peter, Your post demonstrates the way kindness ripples throughout our lives. I’m sure for the girls on this trip it will be a force carrying them forward, getting them through tough times ahead. I had no idea such a camp existed, and would like to know more about how you became personally involved.